On November 24, 2017, the Innovation Council (DOST-PCIEERD) in partnership with UP Cebu, UP Cebu inIT TBI and TechTalks.ph will be organizing the 1st Philippine TBI Summit at Parklane Hotel, Cebu City, Philippines. The inaugural TBI summit will bring together all DOST-funded incubators, other government innovation agencies, private incubators, innovators and some international incubator managers to explore topics related to the entrepreneurial and innovation community through educational sessions, group discussions, networking and workshops. 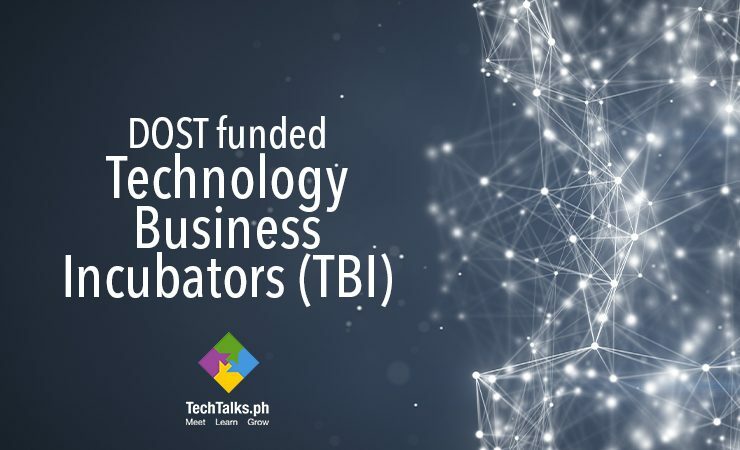 In the spirit of promoting connections and collaborations, we are sharing the following list of DOST-funded TBIs as a way for the public to get to know these valuable service providers. Please contact each TBI to verify the kinds of services they offer. Feel free to contact each TBI if you are located in their city and have interest in supporting the innovation and entrepreneurship sectors there. For details about the DOST’s TBI program, visit their website here. Email info@techtalks.ph, or call/sms +63 915 481 7703.
lgsison@upd.edu.phMr. Jacinto M. Asuncion Jr.
UP Enterprise UP Diliman Mr. Jacinto Asuncion Jr.